You never know what the weather will be like on Christmas in the South. One year we’ll be huddled up inside around our family dining table and hoping the temps rise above freezing, and then the next year, the nephews and nieces will be running barefoot around the backyard while the grown-ups soak up the sun on the patio. On the years when it’s nice out -- and please let’s all keep our fingers crossed for 2014! -- it’s a crying shame to be stuck inside cooking the same old thing. So we’ve created a lightened-up and super-easy feast that can be prepared outdoors on the grill and in the smoker. For the main dish, Roast Beast, we took inspiration from the infamous turducken. What in the world would be a vegetable version of that be? we pondered. 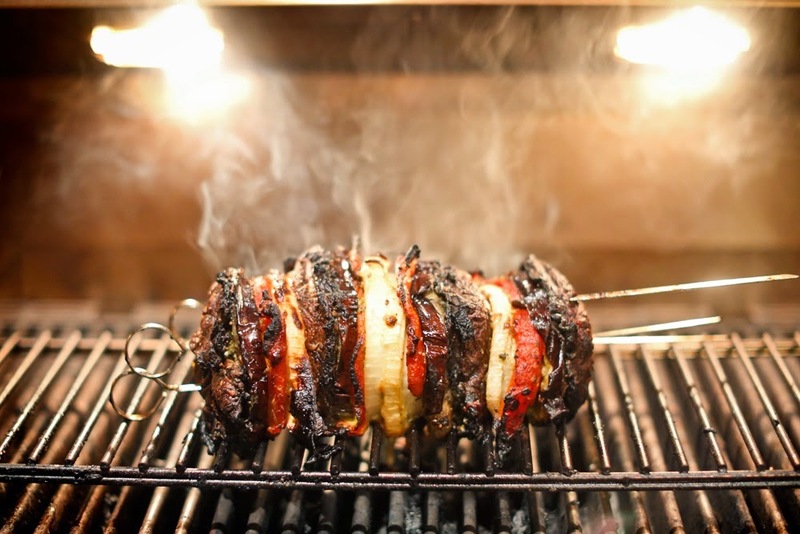 What we came up with was a giant and flavorful stack of meaty vegetables with a presentation that steals the show. 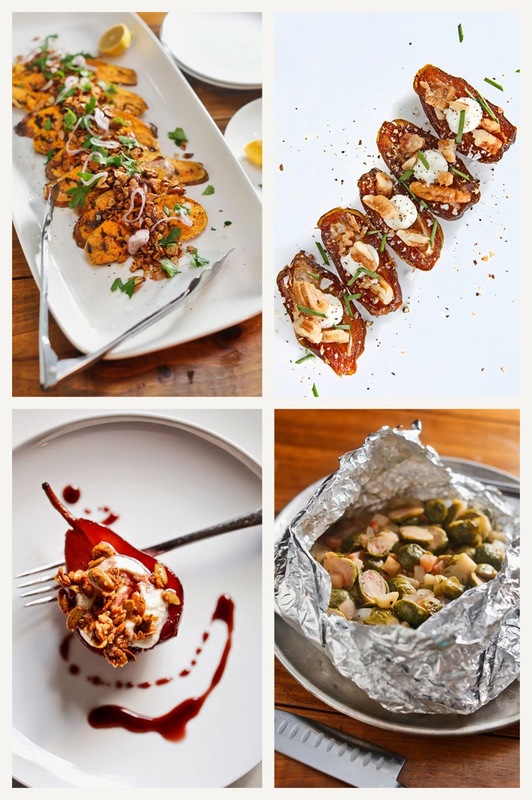 We start the meal with one of the biggest hits from our cookbook, The Southern Vegetarian: 100 Down-Home Recipes for the Modern Table (Thomas Nelson, 2013): smoked dates that are stuffed with goat cheese and pecans. Alongside the main dish, we’re serving roasted Brussels sprouts and apples that are a cinch to prepare, a riff on a family recipe for oyster dressing, and a wonderful sweet potato almondine inspired by Chef Kelly English of Restaurant Iris and Second Line in Memphis. Arguably, the best part about fall is the fruit, and we celebrate it two times over by poaching fresh pears in Beaujolais and topping that with honey-lemon ricotta and crunchy spiced pumpkin seed granola. Whether you have a few vegetarians on the guest list or you just want new and interesting ways to prepare fall’s bounty, you’ll find plenty of inspiration here. Here’s hoping you get to wear flip-flops and man the grill like we plan to do this holiday! 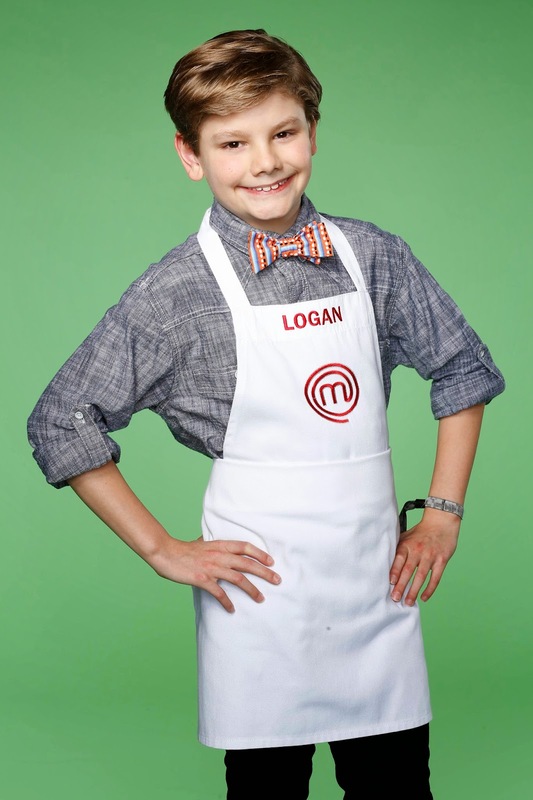 Logan is setting 'em up and knocking 'em down on Fox's MasterChef Junior. This Tuesday night, he'll attempt to fight his way into the top 4. We'll certainly be watching, and all of Memphis will be cheering him on as well! 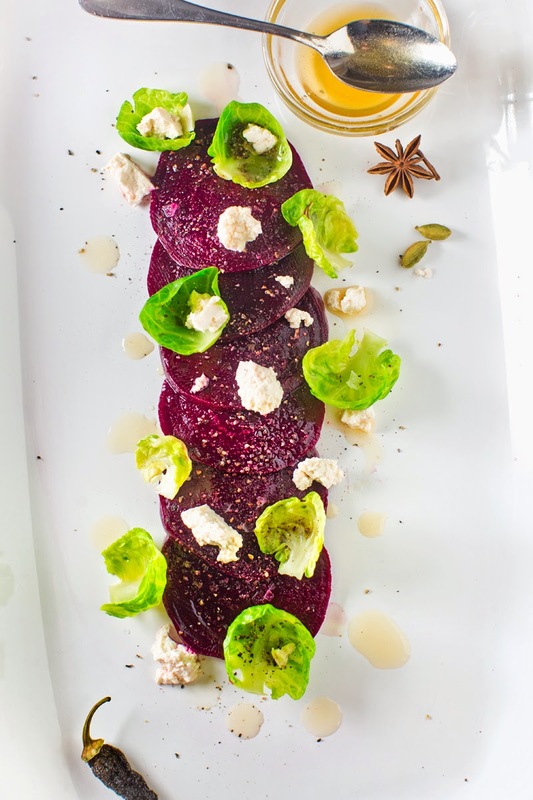 We asked Logan to share a favorite vegetarian recipe with us, and he came up with this amazing beet dish. The secret is in the Spiced Honey Gastrique. It adds a punch of flavor and a little kick of heat that's really unexpected. Also, Logan used honey in his gastrique in place of sugar. You know we love that! This dish is so good that we served a version of it on our own Thanksgiving table. Everyone loved it, including my dad, who said it was his favorite thing on the table. So, great job, Logan! Thanks for sharing this recipe, and know that we love how well you're representing M-town on the show. Preheat your oven to 350 degrees. Place beets in a small casserole dish, cover with foil, and place into the oven for 1 1/2 hours. Allow beets to cool. Rub the skins off with a paper towel. Slice into 1/4- to 1/8th-inch slices on a mandolin. Bring a small pot of salted water to a boil. Pull the Brussels sprouts apart by trimming the stem end with a paring knife and separating the leaves. With a bowl of ice water nearby, blanch the Brussels sprout leaves for 10 seconds, remove them from the boiling water using a spider, and shock them in the ice water so that they stay crisp. In a small saucepan, heat honey until it just starts to boil, add in the vinegar, and bring it back up to a low boil. As the mixture reduces, add in spices. Cook until it is a bit of thick sauce. Remove from heat and let stand for spices to meld for 10 minutes. Strain the spices and set the Spiced Honey Gastrique aside until you're ready to plate.